Docker installation support, RubyEncoder may be installed to a docker container. New Machine ID locking mechanism and advanced protection for CLI scripts. We added many other new features to the GUI and CLI encoders. Please read our full Change Log. Loaders were updated for Mac OSX, Linux and Windows (MinGW). Loaders are included to the new installation packages or you may download then from our loaders page. Other loaders update is coming soon. 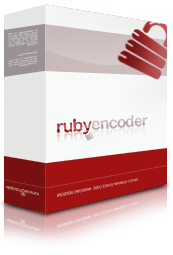 Please refer to the updated User Manual for further information about the new version of RubyEncoder.